We are the perfect place to stop in for breakfast. We always have fresh brewed coffee, donuts, an assortment of baked goods and a great Breakfast Menu that includes hot breakfast sandwiches and puffs. Ice Scream, You Scream, We All Want Ice Cream! 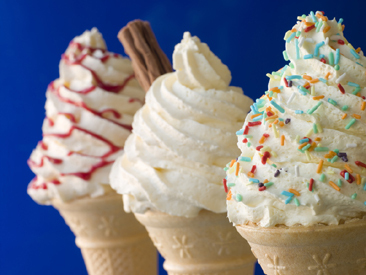 Seasonal and Delicious Ice in different Flavors is available. Sprinkles, Peanuts, Peanut Butter, Chocolate Chips and many more flavors are available. We have delicious stuffed bread. Don’t Forget to try Our Stuffed Bread of the Month. 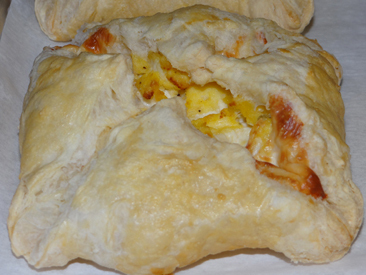 Broccoli & Sausage, Buffalo Chicken, Pepperoni, and many more types of Stuffed bread is available. 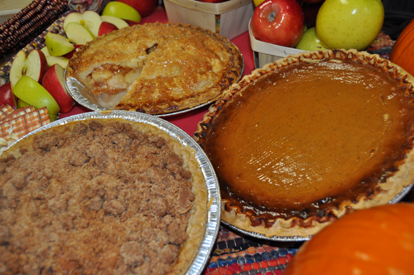 At Lewis Farms our homemade pies will make everyday a holiday. Our complete pie menu is coming soon. Until then stop in or give us a call to find out what we have freshly made. We craft artisan breads, savorys including stuffed breads and pot pies, and a splendid variety of sweet treats including cookies, cream puffs, eclairs, danish and donuts. Thank you for visiting Lewis Farms for your holiday needs! We have something for everyone every season.